"There is no need to be afraid to call the first agent of evil by his name: the Evil One. The strategy which he used and continues to use is that of not revealing himself, so that the evil implanted by him from the beginning may receive its development from man himself, from systems and from relationships between individuals, from classes and nations—so as also to become ever more a "structural" sin, ever less identifiable as "personal" sin. In other words, so that man may feel in a certain sense "freed" from sin but at the same time be ever more deeply immersed in it." —Pope John Paul II, Apostolic Letter, Dilecti Amici, To The Youth of the World, n. 15. What's going on at the Holy Cross Cardinal Newman Society website? Readers of this Blog are already aware of my concerns regarding the HCCNS website and the anti-Semitism which has been promoted at that forum from a previous post. It would appear that things haven't changed much at that forum. Mr. John Ansley initiated a thread entitled "What is happening here?" in which he wrote: "Monsignor Ernest Jouin*, whose work is being promoted at this site by a Feeneyite/anti-Semite follower of Philip Lawler, was a virulently anti-Semitic priest who served as the channel from Russia to France of the highly anti-Semitic propaganda work titled "The Protocols of the Elders of Zion**." He then posted a book review which confirmed his allegations regarding the late Mgsr. Jouin. Now, Mr. Ansley was merely posing a question: "What is happening here?" However, he received a terse response from Richard B (a Catholic apologist who comments at the HCCNS website). Richard B wrote: "Ever since my association with HCCNS website, it played host to anyone who wanted to post here within specific parameters. Because posters who are favorable to 'Feeneyism' as you put it, or who object to object to 'Feenyism' does not make HCCNS website a party to those posters. I believe your inference does an injustice to this site..."
But Mr. Ansley wasn't inferring anything about the HCCNS website in general. He was merely asking what is going on at that forum. Why? Because, the masthead of this discussion site states that: "HCCNS reserves the right to delete any post it deems inappropriate including, but not limited to, those it feels are vulgar, hostile or a misuse of the intent of this forum." Let's examine this statement very carefully. Vulgar. Does this not include comments which promote anti-Semitism? Hostile. Isn't anti-Semitism considered "hostile" at the HCCNS website? Gee, you would think so. A misuse of the intent of this forum. Is anti-Semitism the intent of the forum? If not, why is Richard B being so defensive at Mr. Ansley's question? I don't think Mr. Ansley was looking to generalize or to infer that everyone who comments at the HCCNS website is anti-Semitic. He simply asked a question: "What is happening here?" And judging by the terse response he received, I would say he might have hit a nerve. We should ask ourselves: what exactly are the "specific parameters" according to Richard B? Do these "specific parameters" exclude anti-Semitism? And if not, why not? Other valid questions: why has Richard B responded to Mr. Ansley with an accusatory tone (suggesting that he was inferring something about the HCCNS website in general or every individual who posts there); and why is he seemingly unconcerned with expressions of anti-Semitism? * Previous post on Monsignor Ernest Jouin here. ** More on the Protocols of the Elders of Zion here. "Why should I fear in evil days, when my wicked pursuers ring me round, Those who trust in their wealth and boast of their abundant riches? One cannot redeem oneself, pay to God a ransom. Too high the price to redeem a life; one would never have enough To stay alive forever and never see the pit. Anyone can see that the wisest die, the fool and the senseless pass away too, and must leave their wealth to others. Tombs are their homes forever, their dwellings through all generations, though they gave their names to their lands. For all their riches mortals do not abide; they perish like the beasts. This is the destiny of those who trust in folly, the end of those so pleased with their wealth. Selah Like sheep they are herded into Sheol, where death will be their shepherd. Straight to the grave they descend, where their form will waste away, Sheol will be their palace. But God will redeem my life, will take me from the power of Sheol. Selah Do not fear when others become rich, when the wealth of their houses grows great. When they die they will take nothing with them, their wealth will not follow them down. When living, they congratulate themselves and say: "All praise you, you do so well." But they will join the company of their forebears, never again to see the light. For all their riches, if mortals do not have wisdom, they perish like the beasts." (Psalm 49: 6-21). We have heard so much talk during this election campaign about the economy and how it is the number one concern of Americans. We have heard so much about the stock market and the trillions lost in recent weeks. This is what people of the world are most concerned about. Even though some fifty Bishops said just recently that abortion is the most important issue in this campaign, the media have ignored the issue. Where do we stand? 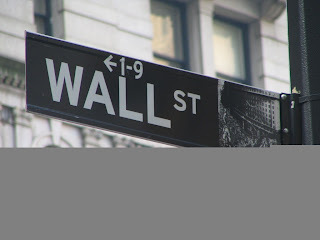 Do we put more importance in money and stocks than we do human life? We should recall the words of my patron Saint, Anthony of Padua: "Earthly riches are like the reed. Its roots are sunk in the swamp, and its exterior is fair to behold; but inside it is hollow. If a man leans on such a reed, it will snap off and pierce his soul, and his soul will be carried off to hell." "There are two ways, one of life and one of death; but a great difference between the two ways. The way of life, then, is this: First, you shall love God who made you; second, your neighbour as yourself; and all things whatsoever you would should not occur to you, do not also do to another." - The Didache. February 1997 - National Prayer Breakfast in Washington attended by the President and the First Lady: "What is taking place in America is a war against the child. 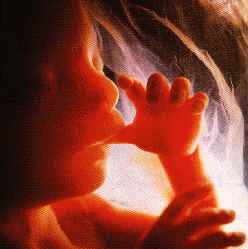 And if we accept that the mother can kill her own child, how can we tell other people not to kill one another." "..look, I've got two daughters. 9 years old and 6 years old...I am going to teach them first of all about values and morals. But if they make a mistake, I don't want them punished with a baby." (Senator Barack Obama). For more read here. There are two ways. One of life and one of death. Which do we choose for ourselves? Which do we choose for America? - "The fruit of abortion is nuclear war." - Mother Teresa. Did Father Feeney and his followers really reconcile with the Church? Remember Sheila Rauch Kennedy? She took her appeal of the Boston Archdiocese's "annulment" of her 12-year marriage to Joseph Kennedy to the Vatican and it was overturned. Why? Read here. It was Pope John Paul II who said that: "The judge must.. abide by canonical laws, correctly interpreted. Hence, he must never lose sight of the intrinsic connection of juridical norms with Church doctrine. Indeed, people sometimes presume to separate Church law from the Church's magisterial teaching as though they belonged to two separate spheres; they suppose the former alone to have juridically binding force, whereas they value the latter merely as a directive or an exhortation. Such an approach basically reveals a positivist mindset which is in contradiction with the best of the classical and Christian juridical tradition concerning the law. In fact, the authentic interpretation of God's Word, exercised by the Magisterium of the Church (cf. Second Vatican Council, Dogmatic Constitution on Divine Revelation "Dei Verbum," No. 10), has juridical value to the extent that it concerns the context of law, without requiring any further formal procedure in order to become juridically and morally binding. For a healthy juridical interpretation, it is indispensable to understand the whole body of the Church's teachings, and to place every affirmation systematically in the flow of tradition. It will thus be possible to avoid selective and distorted interpretations and useless criticisms at every step." Was Canon Law followed during the "reconciliation" of Father Feeney and his followers? I submit that it was not. But first we must take a closer look at Feeneyism. What is Feeneyism? Feeneyism is a term used to describe the theological thought of the late Father Leonard Feeney, a Jesuit priest who favored a narrow interpretation of the dogma extra Ecclesiam nulla salus ("Outside the Church there is no salvation") as opposed to the Church’s understanding of the dogma. In the words of Fr. William Most, an internationally acclaimed Scripture scholar and theologian, "What the disobedient Feeney said amounted to this: he insisted that all who did not formally enter the Church would go to hell. Hence he had to say, and he did say, that unbaptized babies go to hell. Further, all adults who did not formally enter the Church - get their names on a parish register - would also go to hell, even if they never had a chance to hear there was a Church. E.g., those in the western hemisphere during the long centuries before Columbus. Therefore Feeney consigned literally millions upon millions to hell, even though he gave them no chance. Not just the documents of the Church as interpreted by the Church should have kept him from this: merely common sense, and the realization that God is not only not a monster, but is infinitely good - that alone should have stopped him. We have, then, most ample reason for calling his error tragic. Even the sexually immoral do not deny that God is good. Feeney does worse than they."(Http://www.ewtn.com/library/SCRIPTUR/FEENEY.txt). It has often been asserted by followers of Father Leonard Feeney that they possess a "right" to hold (and even defend) his erroneous interpretation of extra Ecclesiam nulla salus and that this "right" has been affirmed by Church authorities. Moreover, they insist that their obstinate refusal to adhere to the Church’s understanding of the dogma does not prohibit them from being Catholics in good standing with the Church. What of this? Is it possible to dissent from the Church’s teaching relative to extra Ecclesiam nulla salus while remaining "a Catholic in good standing with the Church"? Canon lawyer and Catholic journalist Pete Vere argues that it is. The purpose of this article is to examine his argument from the standpoint of Church teaching and Canon Law to ascertain whether or not his opinion on the matter has any merit. Having said that, let us move to the larger question. It is clear from the Catechism of the Catholic Church (CCC) promulgated by Pope John Paul II that the Church currently promotes a less exclusive understanding of the dogma ‘Outside the Church no salvation’ (EENS) as well as the effects of desire for baptism (BOD) and pre-baptismal martyrdom for the faith (BOB). Lest I be accused of bias in my canonical opinion, I want to note up-front that I personally accept the teaching on these issues outlined in the CCC. However, that is a debate for another time. The question currently before us is the following: What of those, like the spiritual descendants of Fr. Feeney, who hold to a more restrictive understanding on these issues? Are they Catholics in good standing with the Church? The answer is yes for a number of reasons:1) There is no question Fr. Feeney died in full communion with the Catholic Church. Pope Paul VI lifted Father’s excommunication while Father was still alive, and there is no evidence that Father recanted his understanding of EENS, BOB, or BOD. The actual lifting of Father’s excommunication was executed by Fr. Richard Shmaruk, a priest of the Boston Archdiocese, on behalf of Bishop Bernard Flanagan of Worcester. While visiting Boston about ten years ago, I spoke with Fr. Shmaruk and he personally corroborated the events that led to him reconciling Fr. Feeney with the Church. On pages 259 to 262 of his book They Fought the Good Fight, Brother Thomas Mary Sennott diligently chronicles the reconciliation of Fr. Feeney, as well as the subsequent reconciliation of several of Father’s spiritual descendants. Brother Sennott quotes from two respectable Catholic news sources (The Advocate and the Catholic Free Press). I have independently confirmed the quotations and context of the primary sources. Brother Sennottt also notes that Father’s memorial mass was celebrated by Bishop Bernard Flanagan in the Cathedral of St. Paul, Worcester. This would have given rise to scandal had Father not been fully reconciled with the Church. Br. Sennott’s book received an imprimi potest from Bishop Timothy Harrington of the Diocese of Worcester, meaning the book is free from doctrinal or moral error. Thus unless one is willing to declare oneself BLEEP! or sedeprivationist, the evidence is overwhelming that Fr. Feeney died in full communion with the Church without recanting his position. 2) Most of Fr. Feeney’s spiritual descendants have been reconciled with the Church without having to renounce or recant their interpretation of BOB, BOD, or EENS. This was the case with those who reconciled in 1974 and would go on to found St. Benedict Abbey in Still River, as well as the sisters of St. Anne’s House in Still River who reconciled in 1988, and most recently with St. Benedict Centre in Still River who reconciled under Br. Thomas Augustine, MICM. Regarding the last group, I should note they had achieved a sacramental reconciliation long before their juridical reconciliation. This was the subject of the first paper I ever wrote as a young licentiate student in canon law. While researching this paper in 1997, I visited the various communities descended from Fr. Feeney and the Harvard student movement, noting with interest how despite no formal reconciliation at the time, Br. Thomas’s community had an in-residence chaplain appointed by the Bishop of Worcester. I also noted with interest that the Bishop visited the community regularly, and that he also confirmed the community’s children. In reading canon 844, sacraments should only be shared with non-Catholics under the most strict and extenuating of circumstances. It is clear, that in keeping with canon 213, the Diocese of Worcester was ensuring for the pastoral and sacramental care of Brother Thomas’s community as if they were Catholics. It was similarly clear from talking to Br. Thomas Augustine, as it was from talking to Mother Theresa next door at St. Anne’s House, that each of these communities still held the same interpretation of BOB, BOD and EENS as Fr. Feeney. With regards to the 1988 reconciliation of Mother Theresa, MICM and the sisters of St. Anne’s House in Still River, Fr. Lawrence A. Deery, JCL, at the time the Diocese of Worcester’s Judicial Vicar and Vicar for Canonical Affairs and acting in his official capacity, wrote the following: "1) The Sisters were asked to ‘understand’ the letter of the then Holy Office dated 8 August 1949. They were not asked to ‘accept’ its contents. 2) The Sisters were asked to make to make a Profession of Faith. Nothing else was required [...] In our discussions with the Congregation [for the Doctrine of the Faith] it seemed rather clear that proponents of a strict interpretation of the doctrine should be given the same latitude for teaching and discussion as those who would hold more liberal views. Summarily, Mother Theresa and her community in no manner abandoned Father Feeney’s teachings." Need I remind you that the man who was Prefect for the Congregation of the Doctrine of the Faith at the time of this consultation is now Pope Benedict XVI, the Church’s Supreme Pontiff? 3) In 1988, Mr. John Loughnan, a layman from Australia who happens to be a friend of mine, wrote the Pontifical Commission Ecclesia Dei (PCED) requesting clarification on several controversies surrounding the SSPX. Mr. Loughnan also inquired as to the status within the Church of Fr. Feeney’s followers. Concerning this last question, Msgr. Camille Perl, secretary of the PCED, replied to Mr. Loughnan as follows in N. 343/98 dated 27 October 1998: "The question of the doctrine held by the late Father Leonard Feeney is a complex one. He died in full communion with the Church and many of his former disciples are also now in full communion while some are not. We do not judge it opportune to enter into this question." While not wishing to engage in this controversy, Msgr. Perl clearly confirms that Fr. Feeney died in full communion with the Church, and that several of his spiritual descendants who hold his same doctrinal interpretations are in full communion with the Church. Such a statement is clearly within the mission of the PCED as this commission was established by Pope John Paul II to oversee the reconciliation and well-being of traditionalists within the Church.On that note, the evidence is clear: while the position held by Fr. Feeney and his spiritual descendants may be controversial, holding these positions does not, in itself, place one outside of the Catholic Church. In short, it is clear from the Church’s current pastoral and canonical practice that the Church considers this an internal controversy, and that she acknowledges the good standing of most of those who uphold a restrictive interpretation of EENS, BOB and BOD." Let’s examine Mr.Vere’s letter very carefully. While it is good that Mr. Vere acknowledges (and accepts) the Church’s authentic teaching regarding the dogma extra Ecclesiam nulla salus, a teaching which he admits is "clear from the Catechism of the Catholic Church" (See Nos. 846 - 848; 1257-1261), he is simply wrong in his assertion that "..while the position held by Fr. Feeney and his spiritual descendants may be controversial, holding these positions does not, in itself, place one outside of the Catholic Church. In short, it is clear from the Church’s current pastoral and canonical practice ...that she acknowledges the good standing of most of those who uphold a restrictive interpretation of EENS, BOB, and BOD." Nothing could be further from the truth. On August 8, 1949, the Holy Office sent a letter to Archbishop Richard James Cushing of Boston condemning Father Feeney’s error. In this letter, the Holy Office explained that, "...among those things which the Church has always preached and will never cease to preach is contained also that infallible statement by which we are taught that there is no salvation outside the Church. However, this dogma must be understood in that sense in which the Church herself understands it. For, it was not to private judgments that Our Savior gave for explanation those things that are contained in the deposit of faith, but to the teaching authority of the Church." What of Mr. Vere’s assertion that, "There is no question Fr. Feeney died in full communion with the Catholic Church"? Isn’t there? Mr. Vere admits himself that, "there is no evidence that Father recanted his understanding of EENS, BOB, or BOD" and that, "Most of Fr. Feeney’s spiritual descendants have been reconciled with the Church without having to renounce or recant their interpretation of BOB, BOD, or EENS." This point is addressed by Fr. William Most, in the article cited above. He writes, "When Feeney was old, some Church authorities out of sorrow for him, let him be reconciled to the Church. As part of the unfortunate looseness we see so often today, they did not demand that he recant. So he did not. As a result, some former followers of his came back to the Church. Others even today insist that the lack of demanding a recantation meant Feeney had been right all along. Of course not. We have proved that abundantly with official texts..and the texts of the Fathers of the Church." So Mr. Vere acknowledges that, Fr. Feeney and his "spiritual descendants" (to borrow his own phrase) "have been reconciled with the Church without having to renounce or recant" their interpretation of the dogma. But here we encounter an immediate problem. One which a canon lawyer should have recognized straightaway. And it is this: absolution from a censure (such as excommunication) must be lawful. In the new Code of Canon Law, promulgated by Pope John Paul II in 1983, we read in canon 1358 that: "A remission of a censure cannot be granted unless an offender has withdrawn from contumacy in accord with the norm of can. 1347." This norm, laid out in canon 1347 states that: "The guilty party is to be said to have withdrawn from contumacy when he or she has truly repented the offense and furthermore has made suitable reparation for damages and scandal or at least has seriously promised to do so." In his commentary on the 1917 Code of Canon Law (which said essentially the same thing as the new Code) entitled "A Commentary on the New Code of Canon Law," Charles Augustine Bachofen explained that, "...the purpose of censures is the amendment of the delinquent. Consequently, if he recedes from contumacy or persistent disobedience, he is entitled to absolution and it cannot be licitly withheld from him. Repentance alone, however, is not sufficient for purging oneself of contumacy, but satisfaction and reparation of scandal are required, according to can. 2242. Hence the one who absolves from censure must judge whether the acts performed by the penitent are sufficient" (pp. 141,142) and, "That a censure once contracted can be removed only by a lawful absolution follows from the definition given in can. 2236." (p. 141). Under both the old and new Code of Canon Law, a censure can be removed only by lawful absolution, which is described as a withdrawal from "contumacy" or "persistent disobedience" and acts by the penitent such as "satisfaction and reparation of scandal." But Mr. Vere has correctly noted that Fr. Feeney and his "spiritual descendants" were allowed to "reconcile" with the Church without first having to renounce or recant their interpretation of the dogma EENS. In other words, without withdrawing from contumacy or persistent disobedience and without having made satisfaction and reparation of scandal. This has resulted in even more scandal within the Church and has caused so much confusion among so many Catholics today. As Fr. Most had observed, there are those who [as a result] "even today insist that the lack of demanding a recantation meant Feeney had been right all along." Can a Feeneyite be a Catholic in good standing with the Church? The Holy Office assured us that such is not possible. Was the "reconciliation" of Fr. Feeney and his "spiritual descendants" licit? Not under Canon Law. Without withdrawal from contumacy and satisfaction for scandal? It is difficult to separate the individual elements of New Age religiosity – innocent though they may appear – from the overarching framework which permeates the whole thought-world on the New Age movement. The gnostic nature of this movement calls us to judge it in its entirety. From the point of view of Christian faith, it is not possible to isolate some elements of New Age religiosity as acceptable to Christians, while rejecting others. Since the New Age movement makes much of a communication with nature, of cosmic knowledge of a universal good – thereby negating the revealed contents of Christian faith – it cannot be viewed as positive or innocuous. In a cultural environment, marked by religious relativism, it is necessary to signal a warning against the attempt to place New Age religiosity on the same level as Christian faith, making the difference between faith and belief seem relative, thus creating greater confusion for the unwary. In this regard, it is useful to remember the exhortation of St. Paul “to instruct certain people not to teach false doctrine or to concern themselves with myths and endless genealogies, which promote speculations rather than the plan of God that is to be received by faith” (1 Tim 1:3-4). Some practices are incorrectly labeled as New Age simply as a marketing strategy to make them sell better, but are not truly associated with its worldview. This only adds to the confusion. It is therefore necessary to accurately identify those elements which belong to the New Age movement, and which cannot be accepted by those who are faithful to Christ and his Church. The New Age concept of God is rather diffuse, whereas the Christian concept is a very clear one. The New Age god is an impersonal energy, really a particular extension or component of the cosmos; god in this sense is the life-force or soul of the world. Divinity is to be found in every being, in a gradation “from the lowest crystal of the mineral world up to and beyond the Galactic God himself, about Whom we can say nothing at all. This is not a man but a Great Consciousness”. In some “classic” New Age writings, it is clear that human beings are meant to think of themselves as gods: this is more fully developed in some people than in others. God is no longer to be sought beyond the world, but deep within myself. Even when “God” is something outside myself, it is there to be manipulated. This is very different from the Christian understanding of God as the maker of heaven and earth and the source of all personal life. God is in himself personal, the Father, Son and Holy Spirit, who created the universe in order to share the communion of his life with creaturely persons. “God, who 'dwells in unapprochable light', wants to communicate his own divine life to the men he freely created, in order to adopt them as his sons in his only-begotten Son. By revealing himself God wishes to make them capable of responding to him, and of knowing him, and of loving him far beyond their own natural capacity”. God is not identified with the Life-principle understood as the “Spirit” or “basic energy” of the cosmos, but is that love which is absolutely different from the world, and yet creatively present in everything, and leading human beings to salvation. – a kind of esoteric exegesis is applied to biblical texts to purify Christianity of the formal religion which inhibits access to its esoteric essence. In the Christian Tradition Jesus Christ is the Jesus of Nazareth about which the gospels speak, the son of Mary and the only Son of God, true man and true God, the full revelation of divine truth, unique Saviour of the world: “for our sake he was crucified under Pontius Pilate; he suffered, died and was buried. On the third day he rose again in fulfillment of the Scriptures; he ascended into heaven and is seated at the right hand of the Father”. “The point of New Age techniques is to reproduce mystical states at will, as if it were a matter of laboratory material. Rebirth, biofeedback, sensory isolation, holotropic breathing, hypnosis, mantras, fasting, sleep deprivation and transcendental meditation are attempts to control these states and to experience them continuously”. These practices all create an atmosphere of psychic weakness (and vulnerability). When the object of the exercise is that we should re-invent our selves, there is a real question of who “I” am. “God within us” and holistic union with the whole cosmos underline this question. Isolated individual personalities would be pathological in terms of New Age (in particular transpersonal psychology). But “the real danger is the holistic paradigm. New Age is thinking based on totalitarian unity and that is why it is a danger...”. More moderately: “We are authentic when we 'take charge of' ourselves, when our choice and reactions flow spontaneously from our deepest needs, when our behaviour and expressed feelings reflect our personal wholeness”. The Human Potential Movement is the clearest example of the conviction that humans are divine, or contain a divine spark within themselves. The Christian approach grows out of the Scriptural teachings about human nature; men and women are created in God's image and likeness (Gen 1.27) and God takes great consideration of them, much to the relieved surprise of the Psalmist (cf. Ps 8). The human person is a mystery fully revealed only in Jesus Christ (cf. GS 22),and in fact becomes authentically human properly in his relationship with Christ through the gift of the Spirit. This is far from the caricature of anthropocentrism ascribed to Christianity and rejected by many New Age authors and practitioners. The key is to discover by what or by whom we believe we are saved. Do we save ourselves by our own actions, as is often the case in New Age explanations, or are we saved by God's love? Key words are self-fulfilment and self-realisation, self-redemption. New Age is essentially Pelagian in its understanding of about human nature. The tendency to confuse psychology and spirituality makes it hard not to insist that many of the meditation techniques now used are not prayer. They are often a good preparation for prayer, but no more, even if they lead to a more pleasant state of mind or bodily comfort. The experiences involved are genuinely intense, but to remain at this level is to remain alone, not yet in the presence of the other. The achievement of silence can confront us with emptiness, rather than the silence of contemplating the beloved. It is also true that techniques for going deeper into one's own soul are ultimately an appeal to one's own ability to reach the divine, or even to become divine: if they forget God's search for the human heart they are still not Christian prayer. Even when it is seen as a link with the Universal Energy, “such an easy 'relationship' with God, where God's function is seen as supplying all our needs, shows the selfishness at the heart of this New Age”. New Age practices are not really prayer, in that they are generally a question of introspection or fusion with cosmic energy, as opposed to the double orientation of Christian prayer, which involves introspection but is essentially also a meeting with God. Far from being a merely human effort, Christian mysticism is essentially a dialogue which “implies an attitude of conversion, a flight from 'self' to the 'you' of God”. “The Christian, even when he is alone and prays in secret, he is conscious that he always prays for the good of the Church in union with Christ, in the Holy Spirit and together with all the saints”. In New Age there is no real concept of sin, but rather one of imperfect knowledge; what is needed is enlightenment, which can be reached through particular psycho-physical techniques. Those who take part in New Age activities will not be told what to believe, what to do or what not to do, but: “There are a thousand ways of exploring inner reality. Go where your intelligence and intuition lead you. Trust yourself”. Authority has shifted from a theistic location to within the self. The most serious problem perceived in New Age thinking is alienation from the whole cosmos, rather than personal failure or sin. The remedy is to become more and more immersed in the whole of being. In some New Age writings and practices, it is clear that one life is not enough, so there have to be reincarnations to allow people to realise their full potential. In the Christian perspective “only the light of divine Revelation clarifies the reality of sin and particularly of the sin committed at mankind's origins. Without the knowledge Revelation gives of God we cannot recognize sin clearly and are tempted to explain it as merely a development flaw, a psychological weakness, a mistake, or the necessary consequence of an inadequate social structure, etc. Only in the knowledge of God's plan for man can we grasp that sin is an abuse of freedom that God gives to created persons so that they are capable of loving him and loving one another”. Sin is an offense against reason, truth and right conscience; it is a failure in genuine love for God and neighbor caused by a perverse attachment to certain goods. It wounds the nature of man and injures human solidarity...Sin is an offense against God... sin sets itself against God's love for us and turns our hearts away from it... Sin is thus 'love of oneself even to contempt of God'”. Both cosmic unity and reincarnation are irreconcilable with the Christian belief that a human person is a distinct being, who lives one life, for which he or she is fully responsible: this understanding of the person puts into question both responsibility and freedom. Christians know that “in the cross of Christ not only is the redemption accomplished through suffering, but also human suffering itself has been redeemed. Christ – without any fault of his own – took on himself 'the total evil of sin'. The experience of this evil determined the incomparable extent of Christ's suffering, which became the price of the redemption... The Redeemer suffered in place of man and for man. Every man has his own share in the redemption, Each one is also called to share in that suffering through which the redemption was accomplished. He is called to share in that suffering through which all human suffering has also been redeemed. In bringing about the redemption through suffering, Christ has also raised human suffering to the level of the redemption. Thus each man in his suffering can also become a sharer in the redemptive suffering of Christ”. Much in New Age is unashamedly self-promotion, but some leading figures in the movement claim that it is unfair to judge the whole movement by a minority of selfish, irrational and narcissistic people, or to allow oneself to be dazzled by some of their more bizarre practices, which are a block to seeing in New Age a genuine spiritual search and spirituality. The fusion of individuals into the cosmic self, the relativisation or abolition of difference and opposition in a cosmic harmony, is unacceptable to Christianity. Where there is true love, there has to be a different other (person). A genuine Christian searches for unity in the capacity and freedom of the other to say “yes” or “no” to the gift of love. Union is seen in Christianity as communion, unity as community. Christians are in a constant state of vigilance, ready for the last days when Christ will come again; their New Age began 2000 years ago, with Christ, who is none other than “Jesus of Nazareth; he is the Word of God made man for the salvation of all”. His Holy Spirit is present and active in the hearts of individuals, in “society and history, peoples, cultures and religions”. In fact, “the Spirit of the Father, bestowed abundantly by the Son, is the animator of all”. We live in the last times. On the one hand, it is clear that many New Age practices seem to those involved in them not to raise doctrinal questions; but, at the same time, it is undeniable that these practices themselves communicate, even if only indirectly, a mentality which can influence thinking and inspire a very particular vision of reality. Certainly New Age creates its own atmosphere, and it can be hard to distinguish between things which are innocuous and those which really need to be questioned. However, it is well to be aware that the doctrine of the Christ spread in New Age circles is inspired by the theosophical teachings of Helena Blavatsky, Rudolf Steiner's anthroposophy and Alice Bailey's “Arcane School”. Their contemporary followers are not only promoting their ideas now, but also working with New Agers to develop a completely new understanding of reality, a doctrine known by some observers as “New Age truth”." Indeed, New Age occultist Robert Muller has said that persons [read orthodox Christians] "...who hold contrary beliefs to those favored in the "next phase of evolution" will disappear." And Barbara Marx Hubbard has asserted that, "The great reaper must reap before we can take the quantum leap to the next phase of evolution." Only recently, Oprah Winfrey made the claim that, "We're here to evolve to a higher plane..he [Barack Obama] is an evolved leader...[he] has an ear for eloquence and a Tongue dipped in the Unvarnished Truth." And what is this "unvarnished truth"? According to Oprah's spiritual guru Eckhart Tolle, it is divinity itself: "So the formless, the unmanifested, shines through you when you have realized the formless. It shines through the form into this world. It's like God shining through. The form becomes transparent. You see this in anybody who has 'realized' the absence of personality or ego..." (Interview with John Parker: http://www.inner-growth.info/power_of_now_tolle/eckhart_tolle_interview_parker.htm). Is this why Senator Obama is referred to as "The One" by many of his followers? See here for example. Lest anyone accuse me of paranoia, it should be remembered that the Vatican has cited New Age hostility toward Christianity while noting that under the New Age "Christianity has to be eliminated" and must "give way to a global religion." A Secular Messiah? - Part II. 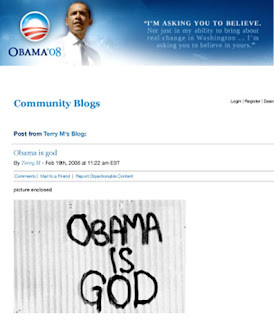 Many of us have serious and legitimate concerns regarding attempts to portray Senator Barack Obama as some sort of secular Messiah (read here). Liberal pundits in the mainstream media, whose knowledge of Sacred Scripture is usually superficial at best, will no doubt dismiss our concerns as coming from uneducated "fundamentalists" who dress in military khaki and who spend most of the day in a dark basement loading ammunition with one hand while holding a Bible in the other. Likewise, Senator Obama has asserted that he is "king of the world" and that he will "change the world." Indeed, he has claimed that: "This was the moment when the rise of the oceans began to slow and our planet began to heal." But it would appear that even his running mate, Senator Joseph Biden, is concerned that "America's enemies will test Obama." Read here. 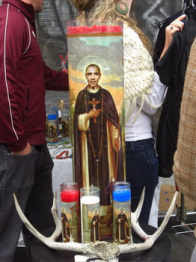 The votive candle depicting Senator Obama shown above was photographed in San Francisco. "Man's life comes from God; it is his gift, his image and imprint, a sharing in his breath of life. God therefore is the sole Lord of this life: man cannot do with it as he wills. God himself makes this clear to Noah after the Flood: "For your own lifeblood, too, I will demand an accounting ... and from man in regard to his fellow man I will demand an accounting for human life" (Gen 9:5). The biblical text is concerned to emphasize how the sacredness of life has its foundation in God and in his creative activity: "For God made man in his own image" (Gen 9:6). Human life and death are thus in the hands of God, in his power: "In his hand is the life of every living thing and the breath of all mankind", exclaims Job (12:10). "The Lord brings to death and brings to life; he brings down to Sheol and raises up" (1 Sam 2:6). He alone can say: "It is I who bring both death and life" (Dt 32:39). But God does not exercise this power in an arbitrary and threatening way, but rather as part of his care and loving concern for his creatures. If it is true that human life is in the hands of God, it is no less true that these are loving hands, like those of a mother who accepts, nurtures and takes care of her child: "I have calmed and quieted my soul, like a child quieted at its mother's breast; like a child that is quieted is my soul" (Ps 131:2; cf. Is 49:15; 66:12-13; Hos 11:4). Thus Israel does not see in the history of peoples and in the destiny of individuals the outcome of mere chance or of blind fate, but rather the results of a loving plan by which God brings together all the possibilities of life and opposes the powers of death arising from sin: "God did not make death, and he does not delight in the death of the living. For he created all things that they might exist" (Wis 1:13-14). The sacredness of life gives rise to its inviolability, written from the beginning in man's heart, in his conscience. The question: "What have you done?" (Gen 4:10), which God addresses to Cain after he has killed his brother Abel, interprets the experience of every person: in the depths of his conscience, man is always reminded of the inviolability of life-his own life and that of others-as something which does not belong to him, because it is the property and gift of God the Creator and Father. The commandment regarding the inviolability of human life reverberates at the heart of the "ten words" in the covenant of Sinai (cf. Ex 34:28). In the first place that commandment prohibits murder: "You shall not kill" (Ex 20:13); "do not slay the innocent and righteous" (Ex 23:7). But, as is brought out in Israel's later legislation, it also prohibits all personal injury inflicted on another (cf. Ex 21:12-27). Of course we must recognize that in the Old Testament this sense of the value of life, though already quite marked, does not yet reach the refinement found in the Sermon on the Mount. This is apparent in some aspects of the current penal legislation, which provided for severe forms of corporal punishment and even the death penalty. But the overall message, which the New Testament will bring to perfection, is a forceful appeal for respect for the inviolability of physical life and the integrity of the person. It culminates in the positive commandment which obliges us to be responsible for our neighbour as for ourselves: "You shall love your neighbour as yourself" (Lev 19:18). The commandment "You shall not kill", included and more fully expressed in the positive command of love for one's neighbour, is reaffirmed in all its force by the Lord Jesus. To the rich young man who asks him: "Teacher, what good deed must I do, to have eternal life? ", Jesus replies: "If you would enter life, keep the commandments" (Mt 19:16,17). And he quotes, as the first of these: "You shall not kill" (Mt 19:18). In the Sermon on the Mount, Jesus demands from his disciples a righteousness which surpasses that of the Scribes and Pharisees, also with regard to respect for life: "You have heard that it was said to the men of old, ?You shall not kill; and whoever kills shall be liable to judgment'. But I say to you that every one who is angry with his brother shall be liable to judgment" (Mt 5:21-22). By his words and actions Jesus further unveils the positive requirements of the commandment regarding the inviolability of life. These requirements were already present in the Old Testament, where legislation dealt with protecting and defending life when it was weak and threatened: in the case of foreigners, widows, orphans, the sick and the poor in general, including children in the womb (cf. Ex 21:22; 22:20-26). With Jesus these positive requirements assume new force and urgency, and are revealed in all their breadth and depth: they range from caring for the life of one's brother (whether a blood brother, someone belonging to the same people, or a foreigner living in the land of Israel) to showing concern for the stranger, even to the point of loving one's enemy." (Pope John Paul II, Evangelium Vitae (The Gospel of Life) Nos. 39-41). Related reading: here and here. WASHINGTON (Reuters) - "Democrat Barack Obama's lead over Republican John McCain in the presidential race has dropped to 3 points, according to a Reuters/C-SPAN/Zogby poll released on Sunday. Obama leads McCain by 48 to 45 percent among likely U.S. voters, down 1 percentage point from Saturday. The four-day tracking poll, which has a margin of error of 2.9 points. Pollster John Zogby said the numbers were good news for McCain, and probably reflected a bump following his appearance in the third and final presidential debate on Wednesday. 'For the first time in the polling McCain is up above 45 percent. There is no question something has happened,' Zogby said..."
"ACORN’s bedrock assumption remains the ultra-Left’s familiar anti-capitalist redistributionism. “We are the majority, forged from all the minorities,” reads the group’s “People’s Platform,” whose prose Orwell would have derided as pure commissar-speak. “We will continue our fight . . . until we have shared the wealth*, until we have won our freedom . . . . We have nothing to show for the work of our hand, the tax of our labor”—claptrap that not only falsifies the relative comfort of the poor in America but that also is a classic example of chutzpah, given ACORN’s origins in a movement that undermined the work ethic of the poor. But never mind—ACORN claims that it “stands virtually alone in its dedication to organizing the poor and powerless.” It organizes them to push for ever more government control of the economy, as if it had learned no lessons about the free-market magic that made American cities unexampled engines of job creation for more than a century, proliferating opportunity and catapulting millions out of misery." But many are also deeply concerned over Senator Obama's radical pro-abortion mindset. * Frank Salvato: It's Americanism vs. Socialism on November 4th. Wikipedia's entry on Socialism: here. Rush Limbaugh on Colin Powell's endorsement of Senator Obama here. "'Secretary Powell says his endorsement is not about race,' Limbaugh wrote in an e-mail. 'OK, fine. I am now researching his past endorsements to see if I can find all the inexperienced, very liberal, white candidates he has endorsed. I'll let you know what I come up with.'" "There is no question, Barack Obama the man is a new and exciting presence on the national stage. His plan for governing the country is not. It is nothing more than failed redistributionism wrapped in pretty new paper. That isn't change. It is a failure of imagination. And it is a betrayal of trust in the American people and of the ideals on which this great and free nation was founded." While I agree with the Union Leader that Obama's plan is nothing more than regurgitated redistributionism re-packaged for the 21st century, I take issue with the newspaper's description of the Senator from Illinois. There is nothing exciting about failed socialist policies or a politician who lacks the moral courage to take a stand against his increasingly radicalized party. I suspect the Union Leader meant to say that Senator Obama is "charismatic." And I wouldn't argue with that. But then, so was Adolph Hitler. A person may be charismatic when they engage in oration but remain dull intellectually. Ian Kershaw, writing about Hitler, explains that, "By any stretch of the imagination Hitler’s rise and fall was extraordinary. He was not an intellectual. He produced no great works of philosophy or art. He was not a military leader of genius or insight yet this petit-bourgeois Austrian came to power constitutionally in 1933 and remained in power for 12 years and by 1941 he commanded a European empire not seen since the days of Napoleon. He was also the instigator of a genocidal war of unparalleled scope and brutality." Now obviously I'm not trying to compare Senator Obama with Adolph Hitler in the strict sense. I merely intend to show that an intellectually dull human being can rise to power. And in their rise to power, such people (while remaining charismatic in oration) offer agendas which really suffer from a "failure of imagination." Senator Obama is indeed very charismatic. Sadly his economic agenda, which is anything but inspiring, is the real "bridge to nowhere." Let's hope Joe American realizes this before he takes a drive onto that bridge. It's no secret that ACORN's philosophy is premised upon anti-capitalist redistributionism (read here). Therefore, it should come as no surprise that Senator Barack Obama, who has had intimate ties with this radical anti-capitalist leftist organization, should also believe in increasing taxes on working families and individuals and "spreading the wealth around." I have been saying this from the beginning of his campaign. And I posted all of this long before it became such a hot topic a couple of days ago. But the problem isn't just with Senator Obama. The Democratic Party has been radicalized. Read here. Senator Obama isn't concerned about "Joe the plumber" or "Joe the barber" anymore than he is concerned about "baby Joe the unborn child in the womb." Not only would he abandon the unborn to a cruel death in their mother's womb, he would abandon the sound principles of capitalism which made this country such a success. More taxes and bigger government is not the answer. It never has been and it never will be. "..voter registration cards have become the focus of fraud investigations in Nevada, Connecticut, Missouri and at least five other states. Election officials in Ohio and North Carolina also recently questioned the group's voter forms." (From the Breitbart article linked above). Ohio elections chief asks U.S. Supreme Court to intervene; dispute over voter registration, read here. This article relates how, "At least 200,000 newly registered voters have mismatched data, according to an initial review.." [by Secretary of State Jennifer Brunner, a Democrat]. Didn't Senator Obama assert that there was only a problem with "a few" voter registrations during the debate last night. 200,000 in Ohio alone is, well, more than "a few." Meanwhile, Senator Obama is so certain of victory he is planning a giant election night party. Read here. Does he know something we don't? 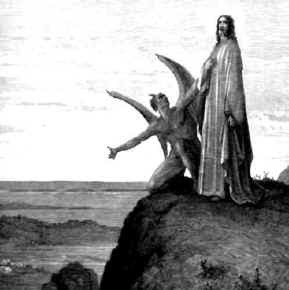 "All these I shall give to you..."
"Matthew and Luke recount three temptations of Jesus that reflect the inner struggle over his own particular mission and, at the same time, address the question as to what truly matters in human life. At the heart of all temptations, as we see here, is the act of pushing God aside because we perceive him as secondary, if not actually superfluous and annoying, in comparison with all the apparently far more urgent matters that fill our lives. Constructing a world by our own lights*, without reference to God, building on our own foundation; refusing to acknowledge the reality of anything beyond the political and material, while setting God aside as an illusion - that is the temptation that threatens us in many varied forms." (Pope Benedict XVI, Jesus of Nazareth, p. 28). Soloviev, in his Tale of the Antichrist, describes all of the worldly success of the Antichrist and describes this outstanding success as being driven by some superhuman force. This is most interesting since Daily Kos has described Senator Obama's success thusly: "Does it not feel as if some special hand is guiding Obama on his journey, I mean, as he has said, the utter improbability of it all," and one individual who left a comment at this Blog wrote, "There are unseen forces behind Obama's meteoric rise to fame and prominence. How else can we explain his rise to world fame from nowhere? Most of us never even heard of this man until a couple of years ago. And 458 million raised in campaign monies? This is nothing short of startling. Now people all over are heralding him as a new "Christ" and a new Messiah." And, in an article written before the third presidential debate and entitled "Analysis Shows Mainstream Media Silent on Barack Obama's Pro-Abortion Views," Rich Noyes wrote: "Two of the three presidential debates have now passed without either candidate being asked about abortion, an issue that nearly four out of ten voters said was 'very important' to them, according to an August Pew survey. What makes the abortion issue especially salient this campaign year is Barack Obama’s extremely liberal record — which may also explain why the big broadcast networks have practically avoided the subject. TV reporters barely mentioned Obama’s pro-abortion stance during the primaries — from the launch of his candidacy in January 2007 through the end of the primaries in June 2008, just six out of 1,289 network evening news stories about Obama (0.46%) mentioned his position on abortion; none discussed it in any detail." The Mainstream Media has done its best to propagandize for the Obama campaign (read here for example), while ignoring critical issues which reflect on Senator Obama's character and that of his running mate Senator Joseph Biden. Read here and here and here for example. What does all of this indicate to us? What does it mean? What do you think? * "This was the moment when the rise of the oceans began to slow and our planet began to heal." - Senator Barack Obama. ** This should not, of course, lead us to envy (which St. Augustine calls the diabolical sin). Instead we should reflect prayerfully on the words of Jesus as given in the eighth chapter of Mark verse 36: "For what does it profit a man to gain the whole world, and forfeit his soul?" “I want to believe that God has sent a Messiah to keep us from annihilating ourselves in World War 3." - A veteran CIA analyst, speaking about Rex Farrye. "Antichrist will communicate his power of working miracles to others, who will go into different countries and cities to gain new proselytes by all the human and diabolical means in their power..It is thus that the words of Our Lord will be fulfilled. "For there will shall rise up false Christs and false prophets, and they shall show signs and wonders, to seduce, if it were possible, even the elect. Take ye heed, therefore. Behold I have foretold you all things." (Mk 13: 22-23). "And then if any man shall say to you: Lo, here is Christ; lo, he is here, do not believe..he is in the desert, go ye not out." (Mt 24: 23-26). Benighted apostles who will indeed turn away from truth! (2 Tim 4:4). They blaspheme the majesty of God and despise all true authority. "Raging waves of the sea, foaming out their confusion, wandering stars to whom the storm of darkness is reserved forever." (Jude 1:13). "Fountains without water and clouds tossed with whirlwinds , to whom the midst of darkness is reserved." (2 Pet 2:17). (Rev. Pascal Huchede, History of Antichrist, p. 24). "Many even see in Obama a messiah-like figure, a great soul, and some affectionately call him Mahatma Obama." - Dinesh Sharma. "Does it not feel as if some special hand is guiding Obama on his journey, I mean, as he has said, the utter improbability of it all?" - Daily Kos. "[Obama is] creative imagination which coupled with brilliance equals wisdom...[He is] the man for this time." - Toni Morrison. "We're here to evolve to a higher plane...he is our evolved leader...[he] has an ear for eloquence and a Tongue dipped in the Unvarnished Truth." - Oprah Winfrey. Does Senator Obama view himself as some sort of secular Messiah who is here to take us to "a higher plane" while healing the planet? Many of his followers see him as such. The secular "Messiah" believes himself to have a special mandate or mission from above to bring "change" to a hurting world. As Dusty Sklar documents in her important work entitled "The Nazis and the Occult": "Hitler, from the time he was a young boy, was preoccupied with the matter of will, a concern not shared by his family or social milieu. Though he could not will himself into art school or good health, his childhood friend Kubizek was the recipient of confidences about his inner life which betray Wagnerian fantasies of another sort of strength. After a performance of Wagner's opera Rienzi, both boys stood under the stars, and, says Rubizek: 'I was struck by something strange, which I had never noticed before, even when he had talked to me in moments of the greatest excitement. It was as if another being spoke out of his body, and moved him as much as it did me. It wasn't at all a case of a speaker being carried away by his own words. On the contrary, I rather felt as though he himself listened with astonishment and emotion to what burst forth from him with elementary force. I will not attempt to interpret this phenomenon, but it was a state of complete ecstasy and rapture, in which he transferred the character of Rienzi, without even mentioning him as a model or example, with visionary power to the plane of his own ambitions. But it was more than a cheap adaptation. Indeed, the impact of the opera was rather a sheer external impulse which compelled him to speak. Like flood waters breaking their dykes, his words burst forth from him. He conjured up in grandiose, inspiring pictures his own future and that of his people....It was an unknown youth who spoke to me in that strange hour. He spoke of a special mission which one day would be entrusted to him..." (p. 50). Grandiose, inspiring pictures? Such as the rise of the oceans beginning to slow? Or the planet beginning to "heal"? And just as Hitler [according to his childhood friend] was astonished at what "burst forth from him with elementary force," Senator Obama himself has expressed astonishment at "the utter improbability" of his meteoric rise to fame and international prominence. "The Mahatmas Arnould writes of these Guardians of the Immemorial Doctrine that 'their number is great,' that they are 'Beings more completely developed than antecedent or existing humanity. These more advanced Beings have traversed the entire human course, and help their less advanced brethren. All humanity shall one day reach this degree of development, like that which Westerns assign to their anthropomorphic God,' and then it will be their turn to help others.. For while 'a few isolated individuals, borne on by a peculiar enthusiasm, a spiritual moral, and physical hygiene and persevering toil,' achieve the goal before their brothers, and alone have evolved that sixth principle, or (Buddhi), which is as superior to the intellect as the human soul is to the animal, yet they can and do put off their entry into Nirvana for the sake of teaching fragments of their lore to men, and may then be called 'Buddhas of Compassion'. H. P. B. rationalizes these Mahatmas (=Great Spirits) not a little: though they guide and protect, yet they do not inspire the T. S. or the writings of its leaders. So, too, Mrs. Besant says they work for humanity, use the T.S. as an instrument, bless it, and help it at a crisis. Miss Lillian Edger, in a very convenient little book called 'Elements of Theosophy', says of them that they can 'function at will on any one of the three planes on which our evolution is proceeding.' They work 'unseen, unthanked, even as God Himself works in every form'. From them come the inspirations of art, the intuitions of genius, and the promptings of heroism. From them come physical discoveries and spiritual movements. They appear, it may be, as men, and are misunderstood and persecuted. They may be called Initiates, Adepts, Magi, Hierophants, Mahatmas, Elder Brothers, Great Souls, or Masters. We are told to number among them Pythagoras, Orpheus, Moses, Christ, St. Paul, St. John, Clement and Origen, Krishna and Buddha, high-priests of various cults (including that of the Temple at Jerusalem), Alexander the Great, and many others.." (http://www.ewtn.com/library/newage/theosop2.txt). Would he censor free speech? Related reading here. 4,000 dead voters in Houston. Meanwhile, the ACORN voter fraud scandal is developing. Read here. Nevada authorities have raided the Las Vegas office of the community-organizing group ACORN seeking evidence of voter fraud. Readers of this Blog are already aware that Senator Barack Obama has been associated with ACORN in the past. Read here. Meanwhile, in an article for Newsweek entitled "Obama's 'Good Will' Hunting," Michael Isikoff addresses a campaign-financing scandal: "The Obama campaign has shattered all fund-raising records, raking in $458 million so far, with about half the bounty coming from donors who contribute $200 or less. Aides say that's an illustration of a truly democratic campaign. To critics, though, it can be an invitation for fraud and illegal foreign cash because donors giving individual sums of $200 or less don't have to be publicly reported. Consider the cases of Obama donors 'Doodad Pro' of Nunda, N.Y., who gave $17,130, and 'Good Will' of Austin, Texas, who gave more than $11,000—both in excess of the $2,300-per-person federal limit. In two recent letters to the Obama campaign, Federal Election Commission auditors flagged those (and other) donors and informed the campaign that the sums had to be returned. Neither name had ever been publicly reported because both individuals made online donations in $10 and $25 increments. 'Good Will' listed his employer as 'Loving' and his occupation as 'You,' while supplying as his address 1015 Norwood Park Boulevard, which is shared by the Austin nonprofit Goodwill Industries. Obama spokesman Ben LaBolt said the campaign has no idea who the individuals are and has returned all the donations, using the credit-card numbers they gave to the campaign. (In a similar case earlier this year, the campaign returned $33,000 to two Palestinian brothers in the Gaza Strip who had bought T shirts in bulk from the campaign's online store. They had listed their address as 'Ga.,' which the campaign took to mean Georgia rather than Gaza.) 'While no organization is completely protected from Internet fraud, we will continue to review our fund-raising procedures,' LaBolt said. Some critics say the campaign hasn't done enough. This summer, watchdog groups asked both campaigns to share more information about its small donors. The McCain campaign agreed; the Obama campaign did not. 'They could've done themselves a service' by heeding the suggestions, said Massie Ritsch of the Center for Responsive Politics." 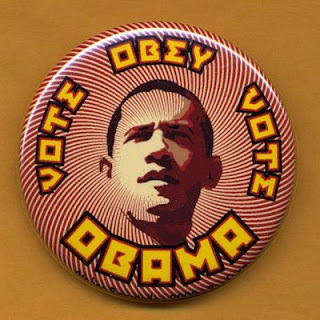 What's going on with the Obama campaign? How much, if anything, does Senator Obama know about all of this? Our Mother tells us, "I have not been listened to." In fact, at this Blog and at the Holy Cross Cardinal Newman Society website, an anonymous individual has posted attacks directed against the Marian Movement of Priests. Such hostility toward Our Lady. This even as the prophecy she gave to Fr. Gobbi is fulfilled to the letter. Watch and pray. As our secularistic, materialistic, hedonistic society unravels and sheer chaos erupts everywhere, find your refuge in the Sacred Heart of Jesus and the Immaculate Heart of Mary. Salvation will not be found in the stock market, the federal government, a particular political party or candidate, or a man who promises to solve all our problems at the price of apostasy. Trust in the Lord Jesus and His Mother. If you place your trust elsewhere, you will be sorely disappointed. Please pray for Peterborough, New Hampshire which will be hosting a major Wiccan festival soon. Occultists will be gathering in that town on October 25th for "Celebrate Samhain: A Celebration of the Final Harvest and Ancestors Past." See: http://www.celebratesamhain.com/. Peterborough, as some of you may know, was the inspiration for Thornton Wilder's play "Our Town." Let's make it our town again as Christians. As the darkness continues to spread, we need to be salt and light. Thank you & God love you. 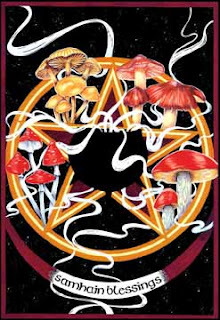 More info on Samhain here.